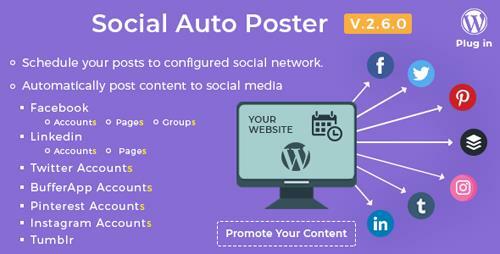 Social Auto Poster�lets you automatically post all your content to social networks such as Facebook, Twitter, LinkedIn, Tumblr, BufferApp. The whole process is�completely automated. Just write a new post and it will be published to your configured social network account. You can reach the most audience and tell all your friends, readers and followers about your new post.